Greetings from Lemuria! Here’s your Lemurian Card reading video for the week beginning April 11, 2016. 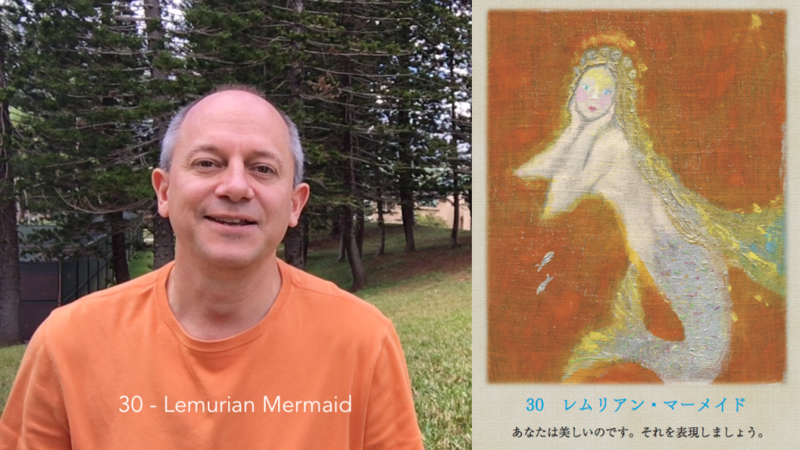 Your message this week comes from a Lemurian mermaid (a wise and beautiful shape shifter) and the whales (the ancient record keepers of this planet). Plus, you get a couple of helpful reminders from the realm of the Lemurian Earth Goddess. Also, this week gives me an opportunity to share the metaphor of the journey. Everything in life is a journey. The question is… how many steps will that journey require? Beauty, sexuality, finding the answers you seek, trusting the process of life… It’s all here this week. Enjoy! If you’d like to receive these weekly video messages as soon as they’re posted, you can subscribe to my YouTube channel. I also invite you to follow me on Facebook. And if you’d like to see the Lemurian Cards oracle deck published in English, please add your name to the notification list.